We are supporting a growing number of students with periods of home-schooling whilst they work to overcome different mental health issues. While there are a unique range of circumstances that lead families to move away from mainstream education, our experience shows that mental health frequently plays a role in the decision to home-school and this is a worrying trend. Sadly, there is no shortage of statistics to support the rise in mental health problems. With 1 in 10 children and young people affected, the Mental Health Foundation ascertains that 50% of mental health problems are established by age 14. Despite the widespread figures, these illnesses continue to be met with a stigma and fail to receive the same recognition as physical health problems. Fortunately, charities and public figures are working hard to change society’s attitudes. With this year marking the 20-year anniversary of the Harry Potter books, J.K. Rowling has always been open about her depression. Dumbledore’s wisdom offers hope and support: “Happiness can be found even in the darkest times if one only remembers to turn on the light.” Demonstrating that mental health issues affect all ages and genders, David Beckham has spoken out about coping with Obsessive Compulsive Disorder and Vlogger and Youtube sensation Zoella shares her experience of anxiety with her 8 million young followers, promoting the online discussion of mental health issues. Although some illnesses are genetic, it is difficult to ignore the damaging impact that technology can have on mental health. Children are at risk of cyberbullying and obsessive comparison disorder from a young age; a recent poll shows that the average child receives their first smartphone at the age of 10 and will spend approximately 135 minutes a day on their device by the time they reach 14. 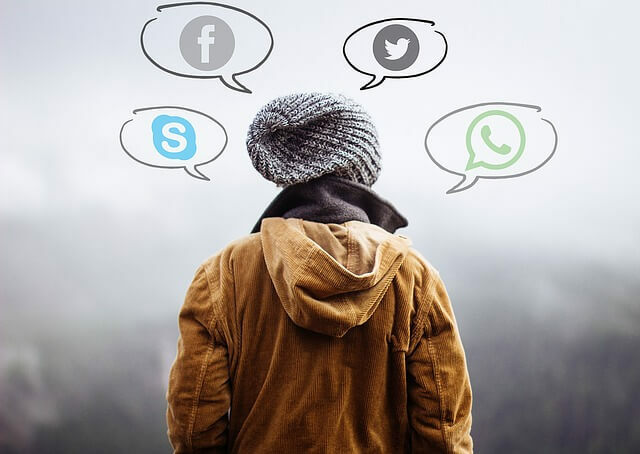 It is easy to blame social media as the perpetrator of many mental health issues, but technology can also have a positive influence. The app ‘Tootoot’ is an innovative reporting platform which allows pupils to reach out for help if they are being bullied or under pressure and is proving a great success within schools. It is encouraging to see that schools are providing digital solutions in response to mental health issues, but we should be looking to offer preventative measures as well. The Girls’ Day School Trust announced its subscription to the Positive Programme app in September, allowing girls to monitor their emotions with an “emotional barometer” and some schools are introducing ‘no phone’ days which are also proving popular. An issue which is close to our hearts at Enjoy Education, we hope to see schools, companies and individuals continue to work together towards a brighter picture of health for children and young people.